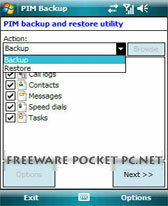 PIM Backup v2.80 freeware for Windows Mobile Phone. Summary: PIM Backup allows you to backup/restore the Personal information of the Pocket PC like Contacts, Appointments, Tasks etc. 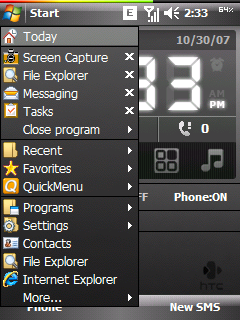 PIM Backup allows you to backup/restore the Personal information of the Pocket PC like Contacts, Appointments, Tasks etc. It is possible now to restore a text file containing contacts backed up from other applications, like in Outlook Express, the only constraint is that the first line should contain the fields and the fields need a separator. (See screenshots). The tool allows to map default fields to fields found in the file. It is possible now to insert duplicates. The mail database is completely parsed to retrieve all the messages stored in every directory and subdirectory. It is possible to select which account and directories should be backed up. You can save attachments as wel if they exist on the pocket pc. Same as the backup, you can select which account and directories should be restored to the device. Caution, if an account doesn't exist on the pocket pc, this application will discard the messages that belong to that account. There was a bug in PPCBckpContacts where appointments with the same name on different dates weren't restored. This should be fixed in this tool. It is possible to schedule a backup, each day of the week and this at a specific hour. If the pocket pc is suspended, it will wake up and do the backup. You can eventually control the number of backups to keep and switch off the pocket pc after the scheduled backup is finished. The schedule backup creates a notification that can be cleared via the Options Menu. There is only one file type now, which is .pib (Personal Information Backup), in fact it is just a zip file (so you can open it with a zip application) which contain the different text files used in PPCBckpContacts, so you can still extract these files, edit them on a pc using Excel or Notepad and eventually restore them without putting them back in the .pib file. For users with Windows Mobile 2003 SE, please download this software here. Very useful, Great application. Many thanks. Worked great on my HTC TP2! I love this app! 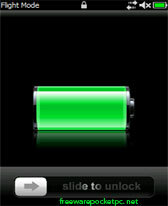 Restored all of my contacts, favs, and text messages. Awesome! which is better, this or microsoft my phone? 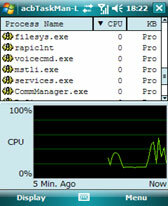 hello,it s impossible dll this application! why please? sbu - you need to transfer it to your phone and run it there. Hi, Anybody has experience below error? "PPCPimBackup.exe is not a valid win32 application". Appreciate your prompt response, I need to backup my message in my htc phone that is going to be sent to htc service centre. Do we need to put the zip file in the sync folder in my laptop? or should we extract it first to .exe and put in the synch folder in my laptop? Thanks in advance! a very good tool. it is my favorit pim app. I have used this program since its inception. I just picked up an HD2 to replace my TP2. I ran a full back up on the TP2 and restored it on the HD2 in about five minutes. The store said it would take them over an hour and a half to do the same thing.